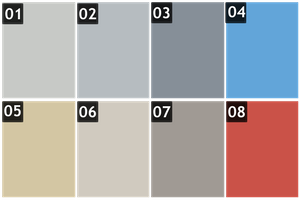 The City Painters uses Enviro Epoxy Products which are 100% solid, commercial grade epoxy. Our epoxy is environmentally friendly, CFIA approved, and has zero VOC (Volatile Organic Compounds). It’s also non-flammable, making it perfect for in-home usage or high-volume warehouse applications. We hire only professional epoxy installers in Toronto and the GTA technicians who will ensure proper epoxy coating application for a long-lasting finish. 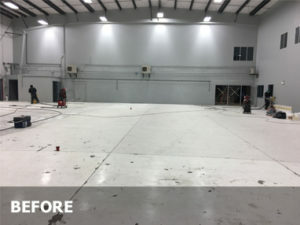 CONTACT US FOR A FREE EPOXY FLOORING OR PAINTING QUOTE TODAY! Durability – It’s extremely hard and abrasion resistant. This means that it holds up beautifully in high traffic areas and can stand up to heavy machinery and automobiles. 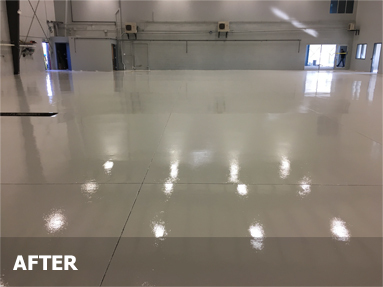 Moisture Resistant – Coatings are resistant to moisture allowing them to last longer and be the perfect surface for areas like garage floors. Easy to Clean – Normal cleaning requires nothing more than regular soap and water. Since the coating is resistant to stains, most oil and dirt will easily wipe off. Minimizes Dust – Epoxy is great for sealing concrete floors in home and warehouse applications, helping to control dust issues and creating a healthier environment for work and play. Added Value – Our epoxy floor paint price also makes such changes fit easily within most any homeowner or company renovation budget. Flooring that previously looked worn and neglected now stands out in a highly positive way, while also making regular maintenance duties a snap requiring little of your valuable time. While concrete is durable, it’s not the final word when it comes to flooring. Epoxy floor coating gives your concrete surfaces that extra layer of durability that will help it stand up much longer to every day wear and tear. In an era when few things genuinely last, you can trust an epoxy coated floor to be the least of your repair worries going forward. My floors look brand new! The epoxy made my basement floor look amazing. 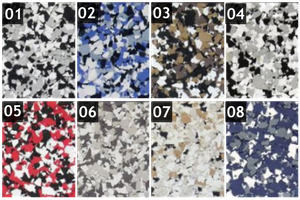 I could not be happier with the way my garage floor looks. Matthew and his team took the time to help me understand the entire epoxy process and ensure that the flooring would suit my needs.